An accused robbery offender, released in December on an “affordable bail,” is back behind bars today—accused of committing another robbery that’s exactly like the other. Hayes White, 24, was arrested Sunday evening for battering two security guards as he tried to steal $265 worth of merchandise from a West Loop Jewel-Osco store in the 1300 block of South Canal. Police said White punched and scratched one security guard while pushing another into a wall and ripping his clothes when they tried to stop him from walking out around 9 p.m. Prosecutors charged White with felony robbery and felony aggravated battery of a merchant. Judge David Navarro ordered him held on a $10,000 deposit bond. 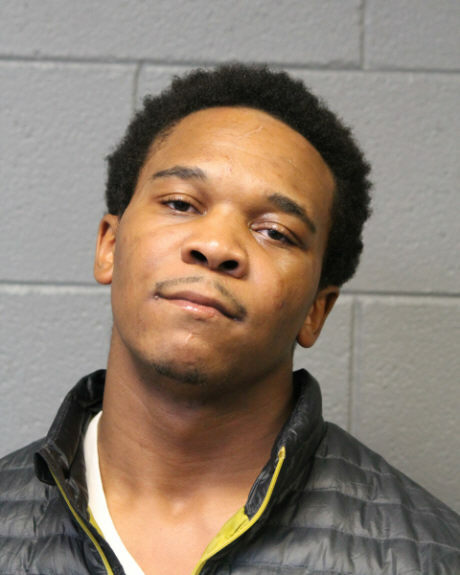 Incredibly, at the time of the latest alleged robbery, White was free on bond awaiting trial for allegedly robbing and battering merchants in a nearly identical crime at a Near South Side Jewel-Osco store last November. On November 6, White punched a security guard in the face when the agent tried to stop him from stealing $140 worth of merchandise from the Jewel store at 1240 South Wabash, prosecutors said. Receive exclusive reports and services, including our 2018 Judges Scorecard by becoming a CWBChicago subscriber today. Packages start at just 94-cents per week! White was charged with felony robbery and felony aggravated battery of a merchant in that case, too. Judge Sophia Atcherson set bail at just $2,000, meaning that White posted only $200 before going free without electronic monitoring. Atcherson did order White to observe a 7 p.m. to 7 a.m. curfew, which he also violated to pull off his latest alleged crime. What’s more, court records show that White is currently on probation for shoplifting, a sentence he received in November 2016 after pleading guilty to stealing $258 worth of merchandise from a Grand Boulevard-area Walmart store. Since January 2016, White has been arrested at least 14 times for shoplifting in Chicago. Since mid-July, Cook County judges have been under orders from Chief Judge Timothy Evans to issue "affordable" bail amounts to the accused. "Often, as I'm walking through the jail, I'm talking to people who are no more dangerous to society than you and I," Sheriff Tom Dart said last year. "People are in here because they committed an insignificant crime and can't pay an insignificant bond because they're poor." Welcome to Chicago, where accused felony robbery offenders are deemed to NOT be "a danger to society."